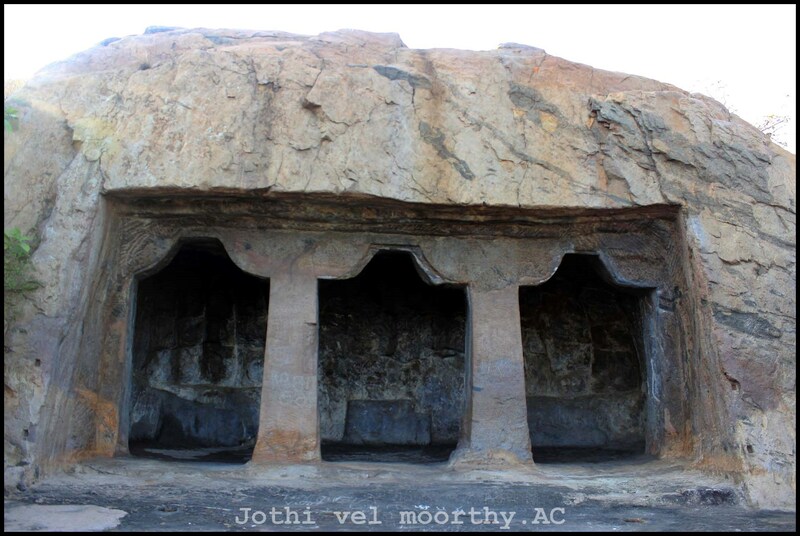 I again took some time last weekend to explore the rest of the Pallava rock cut cave temples on a day’s trip. 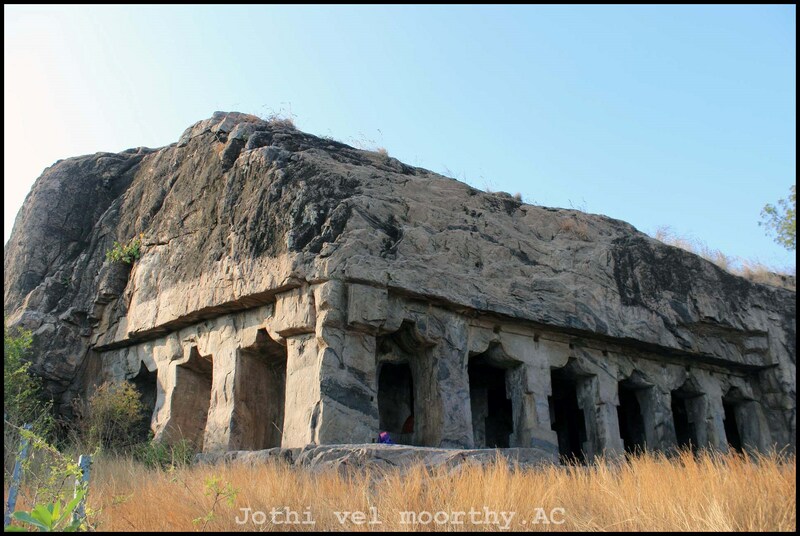 Seeing the rock cut cave temples, One thing I realised is that the Pallavas were the pioneers in the translation of the contemporary brick and timber architecture of the south into more permanent stone and in the tackling of harder and less tractable rocks. 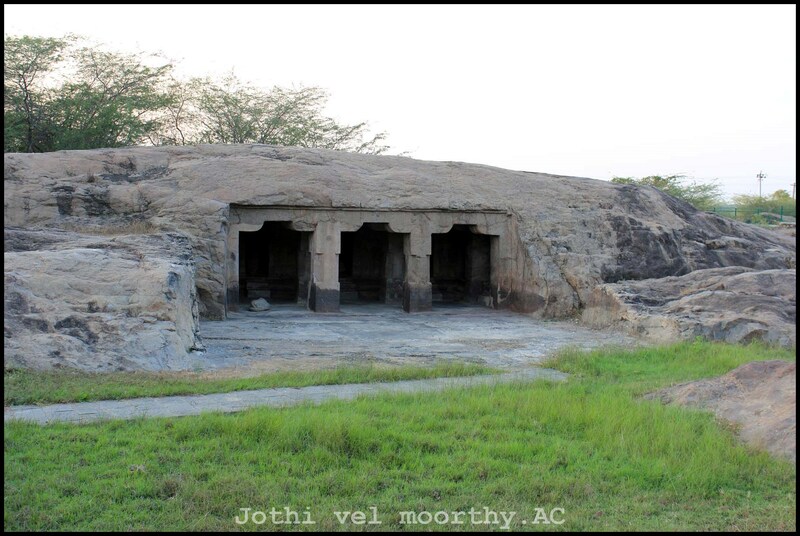 The cave temple here , called Mahendra-vishnu riham in its inscription, is one of the few Vaishnavite cave-temples of King Mahendra. It’s been excavated almost at ground-level into a large free-standing boulder. This cave temple, definitely attributable to King Mahendra . 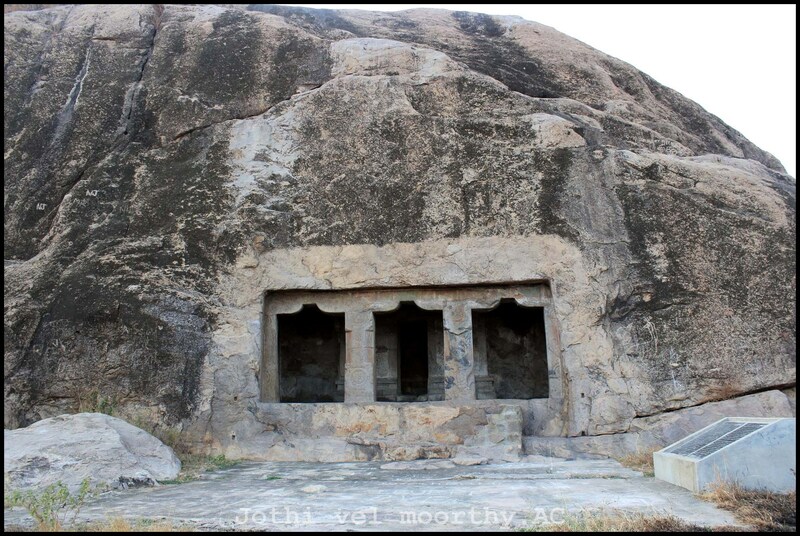 This is the northern most cave temple facing the east is a simple heavy square and octagonal sections with lots medallion decoration are notable. 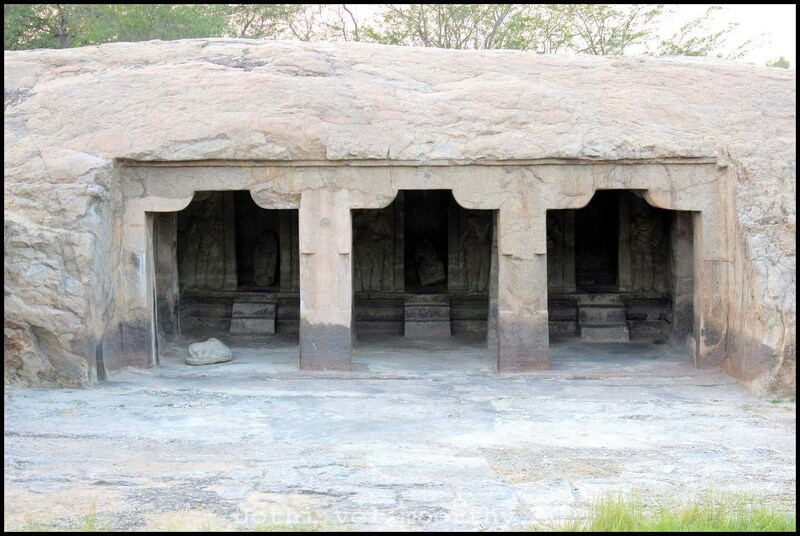 This rock cut temple, consists of a front madapa with two rows of pillars -which were as usual massive square at the base and top. Octagonal in the middle and carry heavy corbels.There are two chola inscriptions found but no Pallava inscriptions. However stylistically the cave is attributed to King Mahendra. Unlike the first two, The third cave from the north is excavated towards the southern end of a taller rock to the south. The southernmost cave-temple in this series. 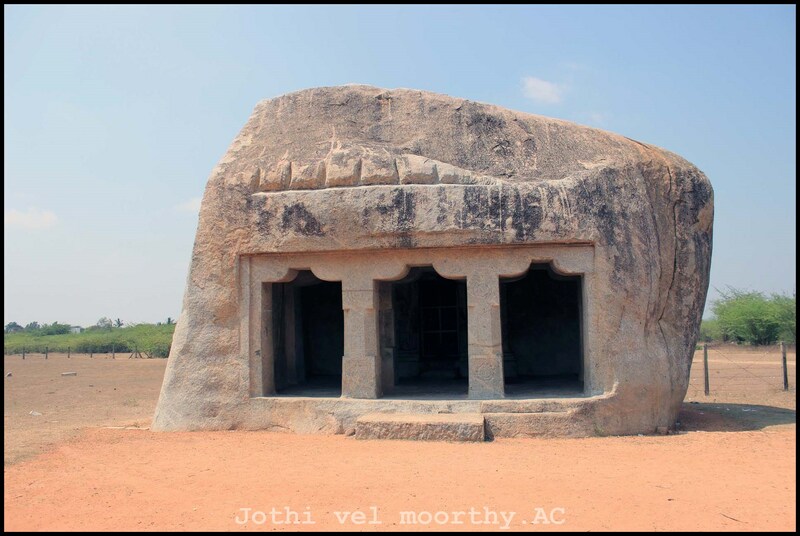 All the features of this look like an early attempt at excavation perhaps in the time of Pallavas, which was abandoned because of the faults and consequent impossibilities in completing the work. The rock-cut temple here, facing east, has been carved on the once-buried easter side of a low outcrop. 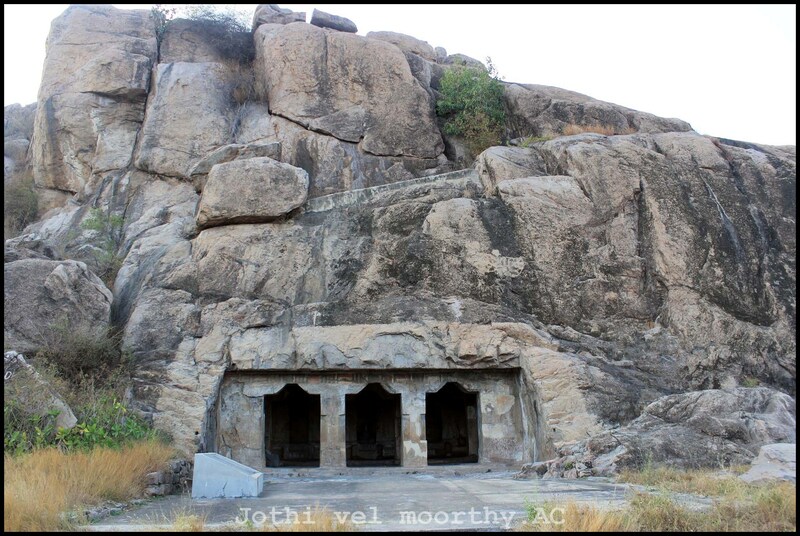 There is no Pallava inscription in the cave, but it has a strong resemblance to the larger one at Narasamangalam and has many archaic features of the pallavas. 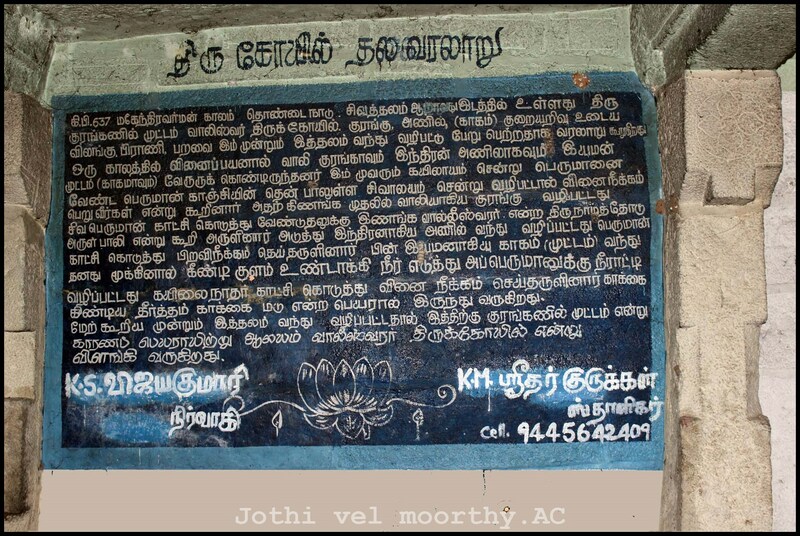 This name of this place “Kuranganilmuttam” sounds interesting and made us curious to know the reason and history behind it. 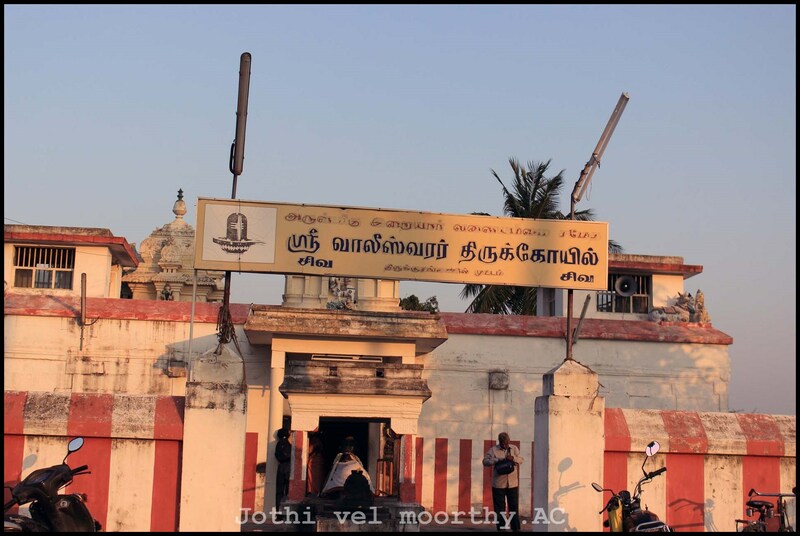 Local intelligence directed us to the nearby temple which is under active worship. Entered the temple and just clicked the history written on the wall. It’s not an inscription. Its sunset and have to wind up for the day. With the sweet memories of this day’s trip, returned back to chennai.